Valley .. after a tea break at the inhabitant (1000 m above sea level) (optional) .. (before a magnificent panorama) is nice .. especially .. accompanied by the traditional bread, thyme honey, oil ‘argan and toasted almonds! After return to Agadir ..! NB: it can be done in a morning or afternoon! fishing in Agadir is passable almost all year! In the program a fishing session (Train, Big, Jigging and Palangrotte), swimming for the courageous and lunch on board (Grilled Fish Salad + + + Fruit Drink). 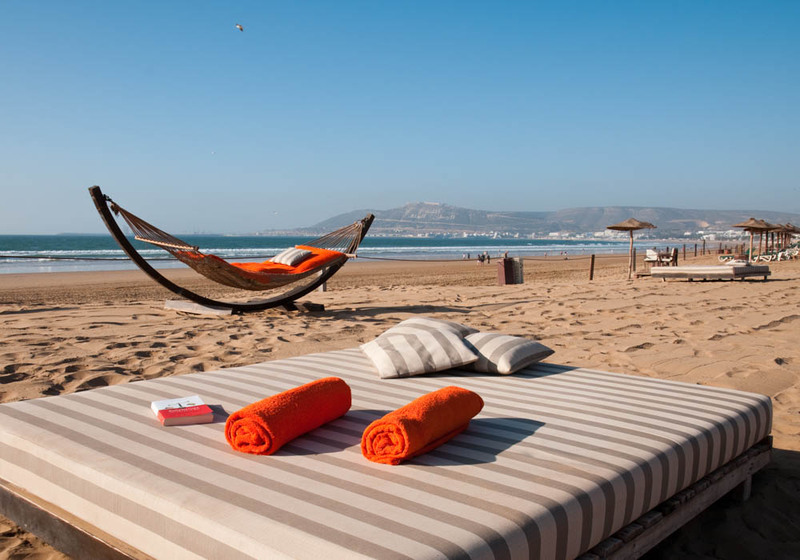 Transfers (To / From) are included in the price and directed by the team: AGADIR VISIT. Enjoy the happiness of a boat relaxing day in the Atlantic for. 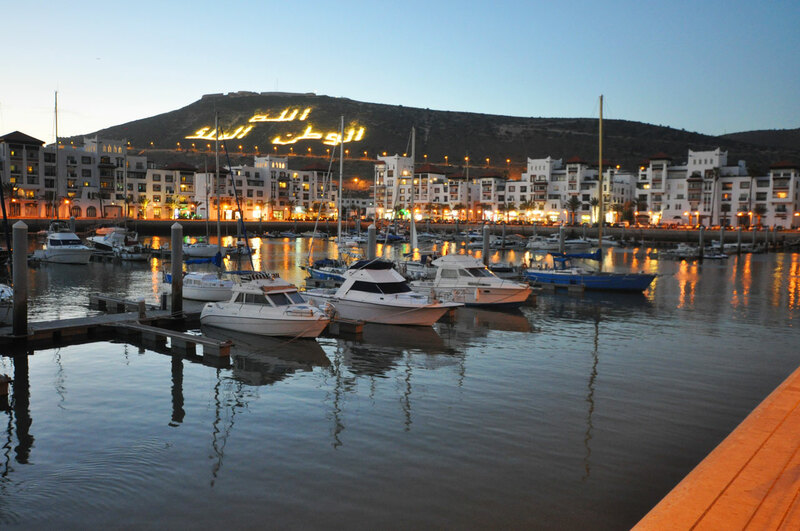 a first approach to sport fishing with family and friends .. and experience the magic and beauty of the bay of Agadir .. with the ambiance of fishing and tasting fish and seafood. It is a varied and interesting unique excursion, and with special 4×4 track .. it is for those who enjoy nature and the scenery above all they love the deep Morocco ..
Departure at 9:30 am from Agadir and head north (Route Essaouira) once arrived in Taghazout (village of sinners & surfers) .. a walking tour in the village .. after we hit the road (stops at will), we make photo stops and relaxing stops when there are beautiful landscapes .. also makes the track at the edge of the ocean! After we arrive at Tamri (village of bananas), a visit is planned Souk Typical Rural Weekly and Monday! .. After 10 km there are beautiful Sand Dunes at the edge of the Atlantic Ocean .. a bit .. then track mandatory stop (short walk on the golden sand and the end is nice) with impressive seen on cliffs (where nestles the Bald Ibis)! (Species of bird protected and endangered)! .. Then we start towards the Berber village .. after a bit of track .. a well deserved reward awaits us .. it’s lunch at the Living .. a real treat … (meals not included in the price – to be paid directly to the lives on site). 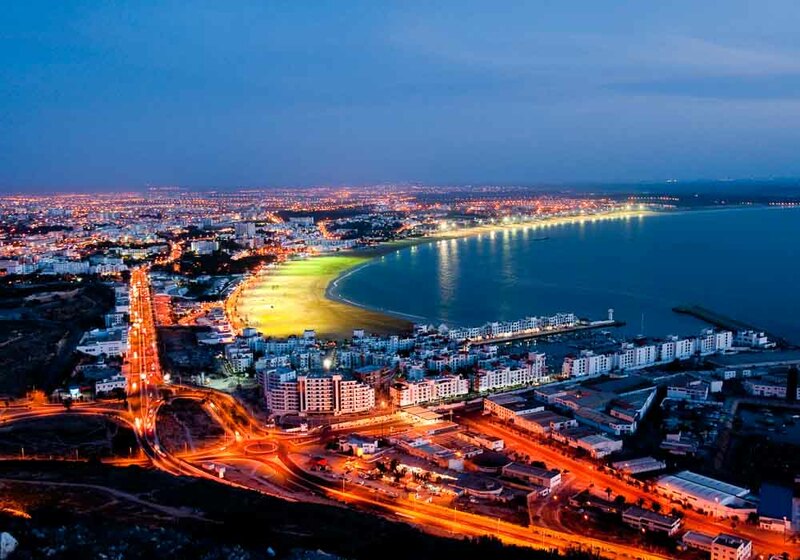 After a short break .. we hit the road to visit the Gouffres Agadir Imoucha (mountain road) .. beautiful landscapes on the heights of the Atlantic Atlas! (In rainy season .. the track is impractical .. this stage is replaced by visiting the village of fishermen Imesouane)! .. Then we take the way back. 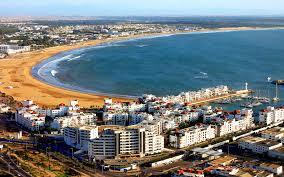 Arrival in Agadir around 18:00! From Agadir at 09:00 .. morning .. we start with the usual tour of the medina of Taroudant Souks .. .. .. Remparts Palais Salam ..
A short walk in the labyrinths of the old Medina and its Souks rich in food, vegetables, fruits, dried fruits, herbs crafts, antiques …! And then .. to 12:00 to 12:30 .. descends in Tiout! Tiout is a Berber village at the foot of the Anti-Atlas 30km from Taroudant .. A magnificent palm grove stretches between several villages in red ocher houses offering stunning scenery .. the Kasbah of Tiout, one can see a panorama both green and desert .. a ride on a donkey is the best way to discover the palm grove, and after lunch at the Kasbah (+ lemon chicken couscous beef …) – (meals not included in the price – to charged at the Kasbah on site). After we go quietly .. .. arrival .. Agadir to 6:00 p.m. to 6:30 p.m.
Total mileage = 220 Km! Taroudant is a small town 80 km east of Agadir .. be an hour and a half drive away .. the heart of the plain of Souss and through fields of Orange out of sight ..
We arrive at the Medina (old town) surrounded by 8 km of walls of adobe .. Top 8 m .. tells the story of the city for centuries .. The carriages and the green gardens and flowers throughout the year are daily party of the inhabitants of Taroudant. The former palace of the Pasha of Taroudant, Ouarzazate and Marrakech .. is transformed into a hotel .. this is the Palais Salam .. A good cup of coffee is an orange juice are well recommended in the shade of the gardens lush ..
Total mileage = 160 Km!